Draft: 2011, Texas Rangers, 11th rd. Connor William Sadzeck…was 7-3 with a 3.56 ERA (24 ER/60.2 IP) over 15 appearances as a freshman at Howard College in Big Spring, Texas…had committed to continue college career at the University of Texas…was also selected by Pittsburgh in the 45th round of the 2010 June Draft out of Crystal Lake Central (IL) HS in his hometown, but did not sign. career action above the Double-A level…missed nearly 7 weeks of action at Round Rock with an oblique strain. Recalled from Round Rock (AAA) on 8/31 and made a team-high 13 relief appearances through the end of the season...logged 12 straight outings without allowing an ER to start Rangers career, longest streak in team history...only earned run allowed came in final outing on 9/29 at SEA...limited opponents to .182/.400/.212/.612 slash line with one XBH (2B)…made ML debut on 9/1 vs. MIN, striking out lone BF and stranding 2 IR...had 2 starts as an "opener": 9/14 at SD and 9/21 vs. SEA...worked 1.0 SHO IP in each start and TEX won both games...issued walks in 9 of 13 outings, including 5 straight to close season. Returned to Frisco, but transitioned to a relief role in June and spent most of the campaign in the RoughRiders bullpen…was 3-5, 5.23 (37 ER/63.2 IP) over 13 starts and 1-3, 8.40 (28 ER/30.0 IP) in 25 relief outings…opened the season in the Frisco rotation and went 2-1 with a 3.81 ERA (12 ER/28.1 IP) and a 1.123 WHIP over 1st 6 starts, but compiled a 6.37 ERA (25 ER/35.1 IP) and 1.642 WHIP in next 7 starts…worked out of the bullpen beginning with outing on 6/16 and posted a 10.80 ERA (22 ER/18.1 IP) in 1st 14 relief appearances…opponents batted .378/.453/.622/1.075 over that stretch…had a 4.63 ERA (6 ER/11.2 IP) in final 11 outings, but held opponents to a .150/.277/.275/.552 (6-40) slash line with 18 strikeouts. Combined to go 3-2 with a 5.82 ERA (39 ER/60.1 IP) in 18 games/14 starts for High-A High Desert and Double-A Frisco…opened the year continuing rehab work at club's complex in Surprise, AZ, and was reinstated from the disabled list on 5/19…made 2 starts for High Desert on 5/19 and 5/25 (9.82 ERA, 8 ER/7.1 IP), then went back on the DL 5/29 with a right shoulder strain…reinstated less than a month later on 6/18 and went 2-1, 2.70 (10 ER/33.1 IP) his final 9 G/6 GS with the Mavericks…promoted to Frisco on 8/1 and went 1-1, 9.61 (21 ER/19.2 IP) in 7 G/6 GS in his Double-A debut, averaging over 21 pitches per inning with 1.983 WHIP…allowed 6 R in 0.1 IP in AA debut (start) on 8/6 vs. San Antonio…in lone win with Frisco, pitched 6.0 no-hit innings (0 R, 2 BB, 2 SO) in club's 2-1 victory…finished year with 7 relief outings for Surprise in Arizona Fall League: 0-1, 9.90 (11 ER/10.0 IP)…in AFL, had 14 SO against 5 BB. Missed the entire season following 'Tommy John' ligament transplant surgery on his right elbow on 3/26/14 performed by Rangers Team Physician Dr. Keith Meister…suffered the injury in spring training on 3/11/14. Posted the 9th-lowest ERA among all full season MiLB pitchers…led the South Atlantic League in ERA and ranked among the league leaders in wins (T2nd, 12) and WHIP (8th, 1.16), also league-high 23 wild pitches…completed at least 5.0 IP in all 24 starts…logged 8 quality starts…held opposition to a .216 average (102-473), 2nd-lowest in SAL among starters, with right-handed hitters at .198 (55-278)…on the DL, 6/5-14 with right shoulder strain…won each of his first 5 decisions following return from DL, posting a 1.06 ERA (4 ER/34.0 IP)…matched season-high with 6 runs allowed on 7/19 vs. Hagerstown, but went 3-1 with a 1.09 ERA (4 ER/33.0 IP) over his final 6 outings. Spent first professional season with Spokane (Short-A)…opposition combined to hit .200 (44-220), the 13th-lowest opponent average among all short season pitchers. Did not see official action after signing first pro contract on 8/3/11. April 3, 2019 Seattle Mariners activated RHP Connor Sadzeck. April 2, 2019 Texas Rangers traded RHP Connor Sadzeck to Seattle Mariners for RHP Grant Anderson. 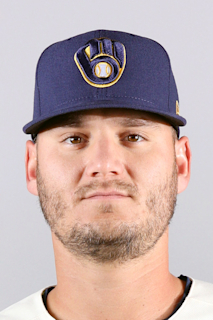 March 28, 2019 Texas Rangers designated RHP Connor Sadzeck for assignment. October 13, 2018 RHP Connor Sadzeck assigned to Tigres del Licey. October 13, 2018 Tigres del Licey placed RHP Connor Sadzeck on the reserve list. August 31, 2018 Texas Rangers recalled RHP Connor Sadzeck from Round Rock Express. August 9, 2018 Round Rock Express activated RHP Connor Sadzeck from the 7-day disabled list. July 31, 2018 Round Rock Express sent RHP Connor Sadzeck on a rehab assignment to AZL Rangers. June 24, 2018 Round Rock Express placed RHP Connor Sadzeck on the 7-day disabled list retroactive to June 21, 2018. March 13, 2018 Texas Rangers optioned RHP Connor Sadzeck to Round Rock Express. October 2, 2017 Texas Rangers recalled Connor Sadzeck from Frisco RoughRiders. March 28, 2017 RHP Connor Sadzeck assigned to Frisco RoughRiders from Round Rock Express. March 7, 2017 Texas Rangers optioned RHP Connor Sadzeck to Round Rock Express. October 11, 2016 Connor Sadzeck roster status changed by Texas Rangers. October 6, 2016 Texas Rangers reassigned RHP Connor Sadzeck to the minor leagues. October 3, 2016 Texas Rangers recalled RHP Connor Sadzeck from Frisco RoughRiders. March 14, 2016 Texas Rangers optioned RHP Connor Sadzeck to Frisco RoughRiders. November 20, 2015 Texas Rangers selected the contract of Connor Sadzeck from Frisco RoughRiders. October 16, 2015 RHP Connor Sadzeck assigned to Surprise Saguaros. August 1, 2015 RHP Connor Sadzeck assigned to Frisco RoughRiders from High Desert Mavericks. June 18, 2015 High Desert Mavericks activated RHP Connor Sadzeck from the 7-day disabled list. May 29, 2015 High Desert Mavericks placed RHP Connor Sadzeck on the 7-day disabled list. May 19, 2015 RHP Connor Sadzeck assigned to High Desert Mavericks. September 23, 2014 Hickory Crawdads activated RHP Connor Sadzeck from the 7-day disabled list. June 15, 2013 Hickory Crawdads activated RHP Connor Sadzeck from the 7-day disabled list. June 7, 2013 Hickory Crawdads placed RHP Connor Sadzeck on the 7-day disabled list. April 3, 2013 RHP Connor Sadzeck assigned to Hickory Crawdads from Spokane Indians. June 13, 2012 Connor Sadzeck assigned to Spokane Indians. June 12, 2012 Texas Rangers signed free agent RHP Connor Sadzeck to a minor league contract.